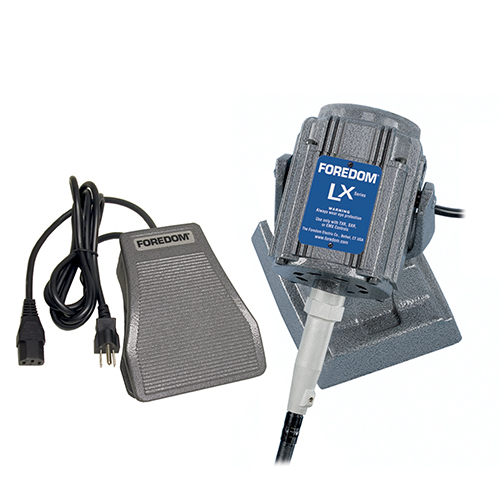 Foredom's High Torque/Low Speed Series LX motor comes mounted in a cast-iron base for easy placement anywhere on the workbench. It is teamed up with the C.SXR-1 foot operated speed control in metal housing. Made in USA. These permanent magnet motors are specifically designed for high torque/low speed applications, offering more power for jobs like stone setting, wax modeling, and pearl drilling. This is a ball bearing motor that features full power and torque from startup and throughout the entire speed range up to 5,000 rpm. 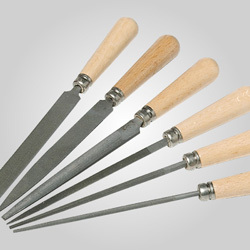 They also are well matched with the H.15 (850-12070) and H.15D (850-1272) Hammer Handpieces. 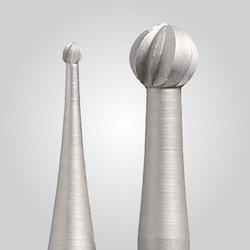 It comes equipped with our standard 39" long key tip shafting for connecting to any of Foredom’s quick disconnect handpieces. This foot operated speed control comes in a metal housing and the extra weight provides added stability and control. It features solid state electronics and is very durable. The ergonomics allow precise and reliable speed control with your foot. This foot speed control has special electronics that converts AC current from an electrical outlet to DC current- the type required by the motor. It also has a special plug that fits the motor's shielded plug. 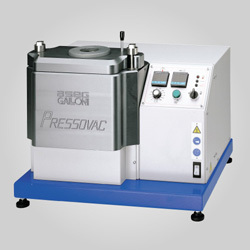 Only use Accessories rated for use at 15,000 RPM or higher. 6-3/4" long, 4" wide, 2-3/8" high, ship wt. 6 lbs./2.7 kg. Foredom’s permanent magnet motors require the use of a TXR-1 (850-3510), SXR-1(already included), or EMX-1 (8503516) speed control. Damage will result if the motor is connected to any other speed control. Two Year Limited Manufacturer’s Warranty on Motor and Foot Rheostat.